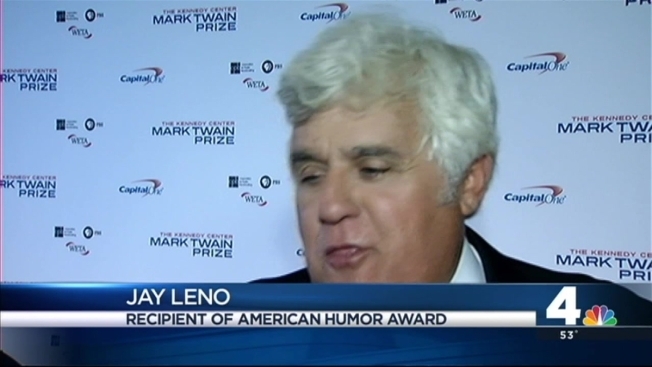 Comedians Honor Jay Leno With Humor Prize in D.C. The joke was on Jay Leno as comedians saluted the former "Tonight Show'' host Sunday when he received the nation's top humor prize. Leno built his career in standup comedy and still makes more than 100 live performances each year. He inherited the "Tonight Show'' from Johnny Carson in 1992, beating out David Letterman, and was the top-rated late-night host for years. Leno didn't leave TV for long. Last week, NBC announced that he's developing a new show from his Los Angeles garage about his other great passion: cars. "Jay Leno's Garage'' will premiere on CNBC in 2015.